Dr. Klinghardt uses the tea to help break down biofilms. So I looked into the recent research on biofilms and placq. It turns out that our mouths can be havens for biofilm accumulation. The many colonies of bacteria can develop biofilms which can in turn cause cavities, gum disease and plaque. 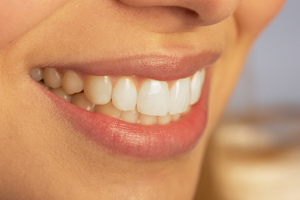 A recent team of researchers have also found that the bacteria in our mouths produce some enzymes that can also break down the biofilms, specifically, fructosyl-transferase and an exo-B-D-fructosidase; both inhibit biofilm formation in the mouth after consumption of sucrose. This same team of researchers believe that the inhibition occurs as a result of interference of polysaccharide formation of Streptococcus mutans (bacteria infamous in cavity formation). Fluorescence based image of biofilm cells. Ogawa et al. 2011. There has been some talk about the toothpaste industry incorporating the above mentioned enzymes into toothpastes of the future. Although that might sound promising for some – I am more excited about the fact that my new tea had the same effect. Since herbs are not patentable – research on their effects is limited. Botanical medicine is one of my most favorite modalities because: 1) It works; 2) Plants can be cultivated sustainably and do not generate a fraction of the waste of the drug industry; and 3) They do not cause the same nasty side affects as drugs. As you likely know, pharmaceutical companies often extract a single constituent of a plant (or synthetically create a similar active constituent), leaving out the many other constituents that cause desired effects, or even constituents that negate would be-harmful side effects. Make sure to purchase sustainably cultivated herbs (obviously I love Wise Woman Herbals); and stay tuned for a post on endangered and “impossible-to-cultivate-sustainably” plants. Ogawa et al. Inhibition of Streptococcus mutans Biofilm Formation by Streptococcus salivarius FruA. Applied and Environmental Microbiology, Mar. 2011. Chemical & Engineering News, March 28, 2011. So what was the EtOH tincture you bought? … I bought some of his Cistus incanus herbal tea as well as the EtOH based tincture and within a few days of using both noticed a change in the whiteness of my teeth. 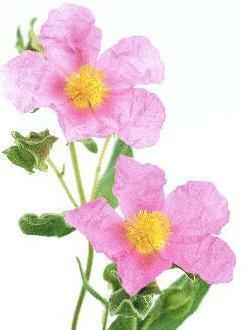 http://bpretail.corecommerce.com/Tea-Cistus-Incanus/ is no longer a working link. Is there a way to order this tea in the US?